The Rackham Graduate School and the graduate program work as a team to manage the application review process. As an applicant, you will be interacting with both offices. Applicants must first consult the program website for specific requirements for admission. The program website is the official source of information for application requirements. Programs establish their own requirements and timeline for the application review. 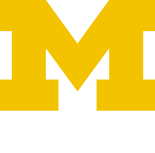 If the Graduate Program website is different from Rackham’s website, follow the Graduate Program’s website instructions. Review the Programs of Study page for program website and contact information. Our Dearborn campus has its own application process. Please visit the UM-Dearborn page for more. Our Flint campus has its own application process. Please visit the UM-Flint page for more.